The fascinating Mexican artist Frida Kahlo is remembered for her self-portraits, her dramatic works featuring bold and vibrant colors. Her work brought attention to Mexican and indigenous culture, and she is also renowned for her works celebrating the female form. 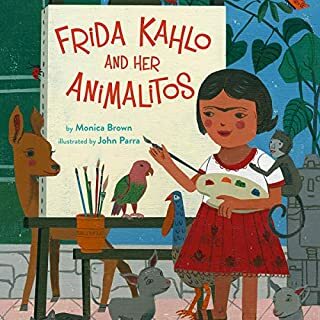 Brown's story recounts Frida's beloved pets - two monkeys, a parrot, three dogs, two turkeys, an eagle, a black cat, and a fawn - and playfully considers how Frida embodied many wonderful characteristics of each animal. 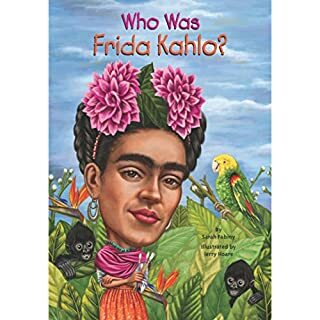 You can always recognize a painting by Kahlo because she is in nearly all of them, with her black braided hair and colorful Mexican outfits. A brave woman who was an invalid most of her life, she transformed herself into a living work of art. As famous for her self-portraits and haunting imagery as she was for her marriage to another famous artist, Diego Rivera, this strong and courageous painter was inspired by the ancient culture and history of her beloved homeland, Mexico. Her paintings continue to inform and inspire popular culture around the world. As a young boy, Cesar lived happily on his family’s ranch in Arizona. But when a severe drought lost them the entire crop, his family also lost their home. With thousands of other unlucky families, the Chavez’s moved to California where they lived in poverty and worked as migrant workers. It bothered Cesar greatly that the workers were treated like slaves by the landowners. So he organized the workers and marched to the state capital in protest. 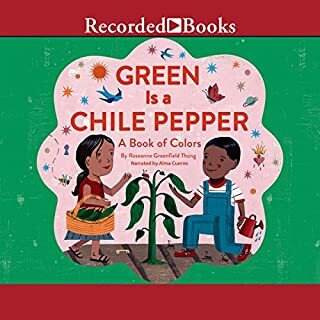 In this lively book, children discover a world of colors all around them: red is spices and swirling skirts, yellow is masa, tortillas, and sweet corn cake. 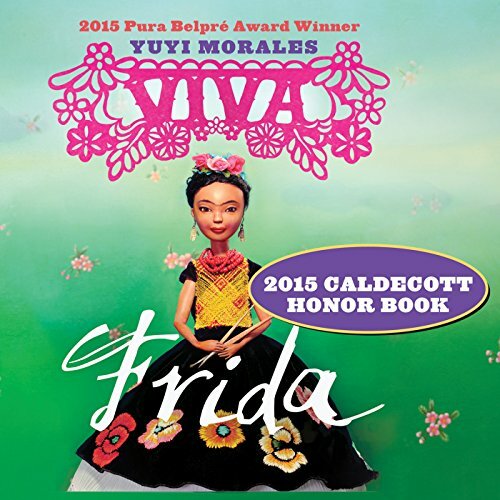 Many of the featured objects are Latino in origin, and all are universal in appeal. With rich, boisterous illustrations, a fun-to-listen-to rhyming text, and an informative glossary, this playful concept book will reinforce the colors found in every child's day! An inspiring tribute to Hispanic Americans who have made a positive impact on the world. This stunning book showcases 20 Hispanic and Latino American men and women who have made outstanding contributions to the arts, politics, science, humanitarianism, and athletics. 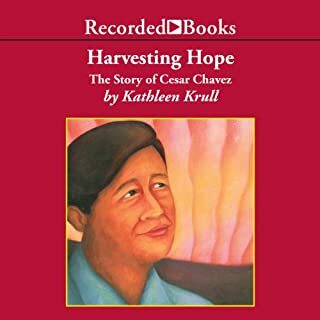 Featured are sparkling biographies of Cesar Chavez, Sonia Sotomayor, Ellen Ochoa, Roberto Clemente, and many more. 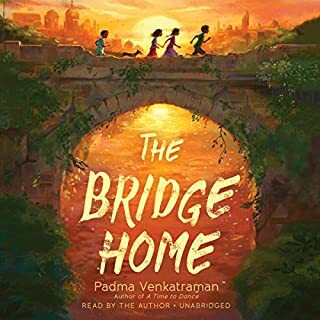 In this audiobook, a young boy spends an overnight visit with his nana and is frightened to find that the city where she lives is filled with noise and crowds and scary things. But then Nana makes him a special cape to help him be brave, and soon the everyday sights, sounds, and smells of the city are not scary - but wonderful. <br />my son k. black elk loved it! Girls cannot be drummers. Long ago on an island filled with music, no one questioned that rule - until the drum dream girl. In her city of drumbeats, she dreamed of pounding tall congas and tapping small bongós. She had to keep quiet. She had to practice in secret. But when at last her dream-bright music was heard, everyone sang and danced and decided that both girls and boys should be free to drum and dream. This rhythmic, read-aloud title is an unbridled celebration of the self-esteem, confidence, and swagger boys feel when they leave the barber's chair - a tradition that places on their heads a figurative crown, beaming with jewels, that confirms their brilliance and worth and helps them not only love and accept themselves but also take a giant step toward caring how they present themselves to the world. Crown is a high-spirited, engaging salute to the beautiful, raw, assured humanity of black boys and how they see themselves when they approve of their reflections in the mirror. As slaves relentlessly toiled in an unjust system in 19th-century Louisiana, they all counted down the days until Sunday, when, at least for half a day, they were briefly able to congregate in Congo Square in New Orleans. There, they were free to set up an open market, sing, dance, and play music. They were free to forget their cares, their struggles, and their oppression. This is a poetic, nonfiction story about this little-known piece of African-American history. With a droll eye to the natural world and a playful invented language, come imagine the possibilities to be found in the humblest backyard. 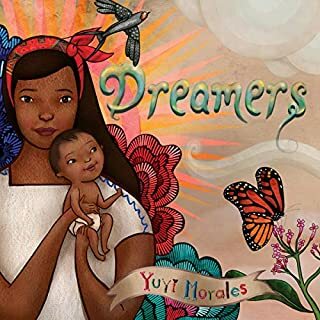 A touching tale of parent-child separation and immigration, from a National Book Award finalist. After Saya's mother is sent to an immigration detention center, Saya finds comfort in listening to her mother's warm greeting on their answering machine. To ease the distance between them while she's in jail, Mama begins sending Saya bedtime stories inspired by Haitian folklore on cassette tape. Frida Kahlo, one of the world's most famous and unusual artists, is revered around the world. Her life was filled with laughter, love, and tragedy, all of which influenced what she painted on her canvases.